Catherine Martin for the Best Bling. Steve McQueen for Best Move. Jared Leto for Loveliest Locks. Kristin Chenoweth for the Best Oscar Look a Like. 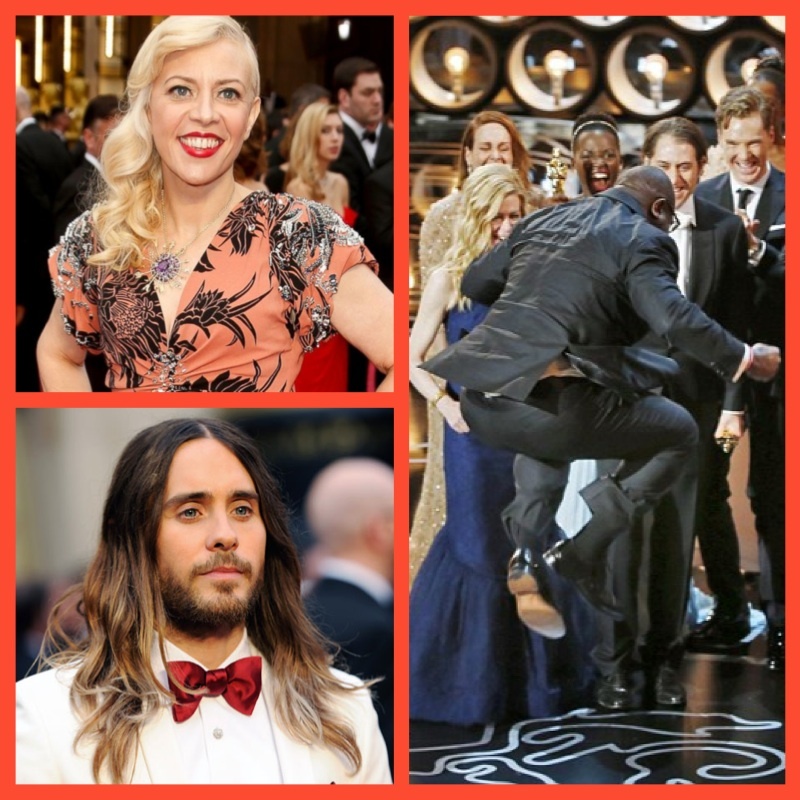 Mary Kathlene McCabe and Constance Leto are tied for the Hot Mama Award. Portia de Rossi for Most Fabulous Frock. 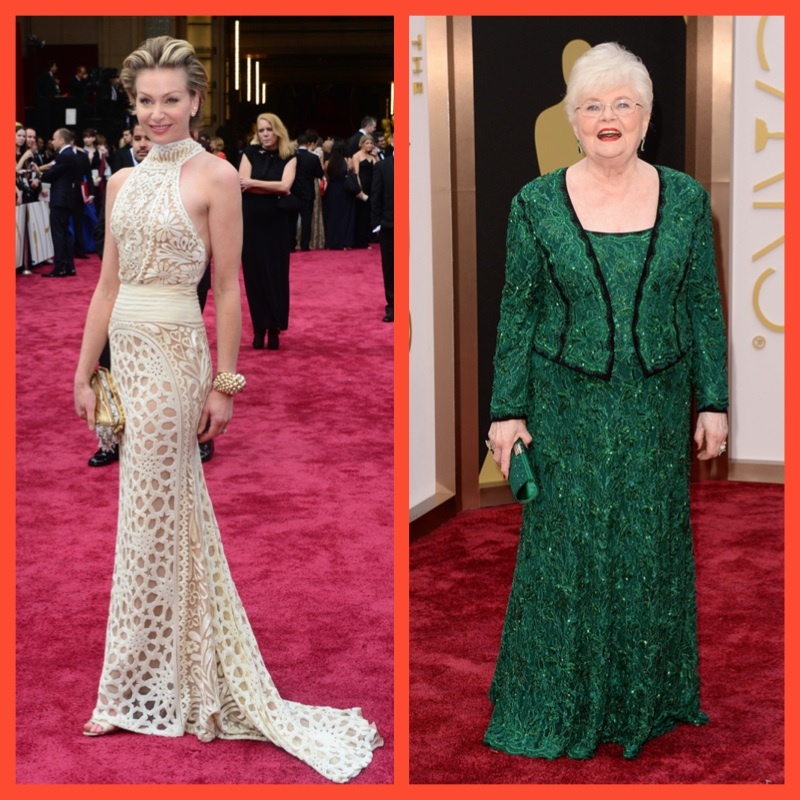 June Squibb for the Stunning Sparkler Award. Lupita Nyong’o and Jared Leto are tied for Best Spoken Word…seriously their speeches had me in a mass amount of tears!!! Ellen for the Best Good Witch Get Up. 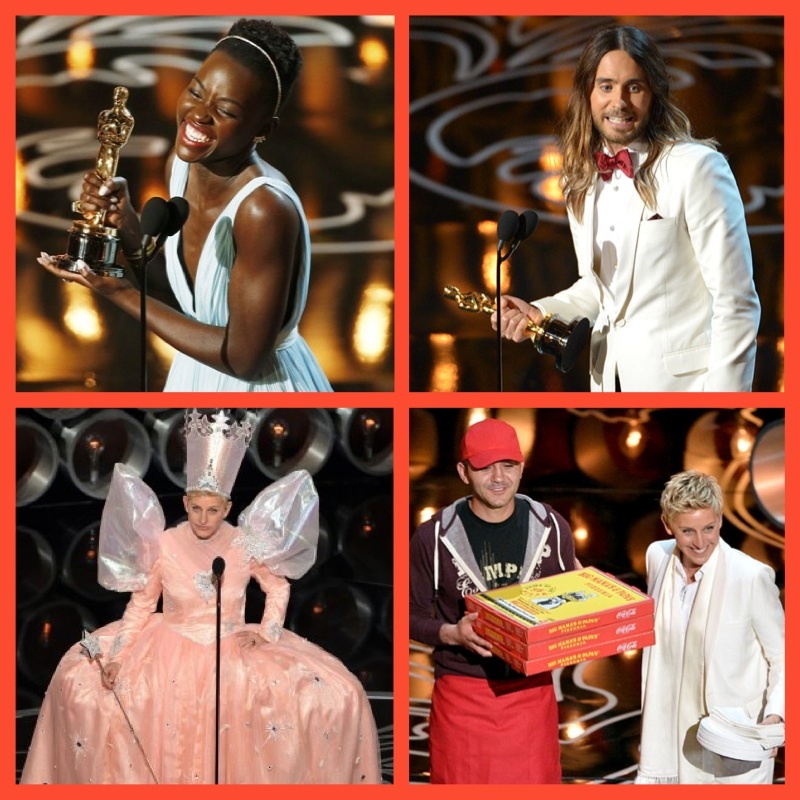 Hostess with the Mostess Moment Award goes to Ellen for the Pizza Delivery in the middle of the show…Brilliant!!! PS: If you have not seen Dallas Buyers Club it is a MUST SEE!!! !